I write about science, with a particular penchant for marine biology. I also write science fiction and fantasy. Sometimes I write for grown-ups and sometimes I write for kids. I also make art, including technical illustrations, comic strips, calligraphy, and origami. And I talk about all these things. 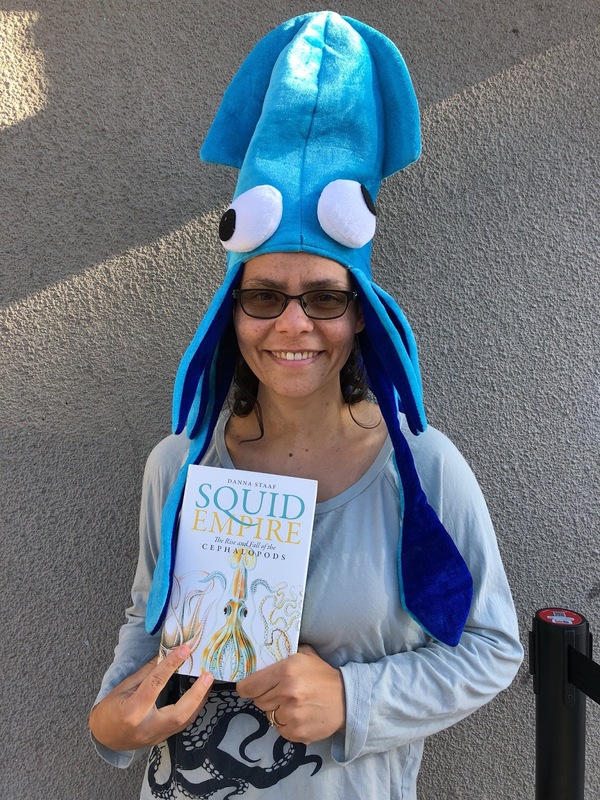 My first book, SQUID EMPIRE: The Rise and Fall of the Cephalopods, tells the true story of the ancient sea monsters that evolved into modern-day squid. It was published in October 2017 by ForeEdge, an imprint of the University Press of New England. Check the book page for reviews, links to order, and more (including a geeky t-shirt). For my PhD, I studied baby squid at Hopkins Marine Station of Stanford University. Before that, I got a BA in Biology from the College of Creative Studies of the University of California, Santa Barbara. Now I live in San Jose, California, with my husband, kids, cats, and plants. 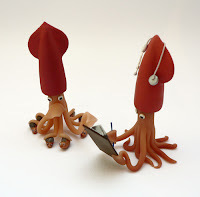 The name "cephalopodiatrist" was coined by some friends of mine in high school to describe my lifelong obsession with octopus, squid, and all their relatives. Years later, artist Justina Kochansky rendered the term delightfully in sculpture. My name can be tricky to pronounce. It rhymes with Banana Cough. You can follow me on Twitter or Facebook, or sign up for my newsletter!